The given study aims to conduct both financial and non-financial analysis of Pandora A/S which is a designer, manufacturer of the high-quality hand-finished and affordable contemporary jewellery. The company was founded in 1982 and headquartered in Copenhagen, Denmark. The company is further seen to employ more than 26,500 people worldwide having more than 13,200 retail outlets in Thailand. The company is publicly listed on the Nasdaq Copenhagen stock exchange in Denmark. The total revenue in 2017 was estimated to be 22.8 billion. The analysis of the competitive strategy has been done as per comparison with Georg Jensen which is also a maker of jewellery established in 1904. The study has considered the financial analysis of both the companies and computed the critical analysis based on the financial position of Pandora A/S. The financial analysis is based on the calculation of the various ratios which has been identified as per critical analysis of the annual reports (Ehrnsperger 2017). The understanding the economy for the chosen Danish Jewellery company is predominantly identified with the various types of the factors by analysing the PEST factors. There have been several types of the external factors which influence the operational performance of he company. In addition to this, some of the different types of the other factors are considered with the external factors which influence the performance and operations in the company. As per the data provided in the annual report it needs to be identified that the Pandora A/S will face several challenges pertaining to the macro environment performance other than the competitive forces. In addition to this, it needs to be discerned that the industry may be profitable with the strong growth projections made for a positive political scenario. Some of the main form of the macro environment factors needs to be discerned as per the inclusion of inflation, rate of savings, rate of interest, rate foreign exchange and the economic cycle which is beneficial in the determination of the aggregate demand and investment in the economy (Jun et al. 2017). On the contrary, the micro environment factors are seen to be depicted in terms of the consideration of the various types of the factors such as economic indicators in the jewellery industry and consumer spending. Some of the other micro environment factors need to be identified as per the growth rate, inflation and industry’s economic indicators. Pandora A/S is identified as the main assessment tools which needs to be reviewed as per the market factors which influence the developments in the company. These factors are considered to influence the competitors and market which involve the appropriate and supplier. The industry in which Pandora A/S operates has been depicted with jewellery manufacturer and retailer. The total market share of the company is seen as DKK 110.03m (Chandra 2017). The analysis of the competitor company is identified with Georg Jensen which is dealing with the same products. The overall EBIT margin of the company increased from 17 DKK million in 2015 to 55 DKK million in 2016. The EBIT margin further increased to 74 DKK million in 2017. It needs to be further identified that Pandora A/S and Georg Jensen needs to be considered as the pioneers in the Danish jewellery business. However, in terms of market share it is discerned that Pandora A/S is clearly in a better position in compared to Georg Jensen (Fibre2fashion.com. 2018). 1. The threat of new entrants: As a jewellery manufacturer it is important for considering the new procedures and the business strategies followed by Georg Jensen which has been mainly considered with competitive pricing strategy. The threat of new entrant has been seen to be moderate in nature. 2. Bargaining power of the suppliers: The suppliers powerful in the consumer sector has been seen to be based on the posing a negotiating power and charge higher price. This will significantly impact on the bargaining position of the suppliers and profitability. Therefore, suppliers have a high bargaining power (Fischer, A. and Pascucci 2017). 3. Bargaining power of the Buyers: It can prove to be difficult for Pandora A/S to earn profit in the long-run. However, in the jewellery business in Copenhagen the consumers have a relatively low bargaining power. 4. Threat of the substitutes: The company offers wide rage of precious stones and high-quality gold and silver jewellery and alternatives to such products is seen to be low in the market. 5. Competitor rivalry: The competitive rivalry in the operating industry for Pandora A/S is depicted with other players such as Ole Lynggaard Copenhagen, Georg Jensen Silver, Marlene Juhl Jørgensen Fine Jewellery, Zarah Voigt Boutique, Julie Sandlau Flagship Store, Ladyfingers, Marianne Dulong, Jane Kønig Store and House of Amber. Henceforth, the competitive rivalry in the industry is seen to be very high (Fleisher, C. S., & Bensoussan, B. E. 2015). In the last few years, the Danish fashion industry went through several paradigms associated with luxury retailers and changes in the high-street trend. The brands such as Ganni, Saks Potts and Stine Goya are seen to be conquering the fashion business by combination of fashionable trends and jewellery. At present the company has been able to get a prime spot in the market which is seen to be associated to the various type of the services which are seen to be based on international consumers and trendsetting influencers. The main mission of the company has been seen to be associated to the various types of the functions which are depicted to be considered with created a dedicated market for Danish and Scandinavian at the time of Copenhagen Fashion Week (Giannakis . and Papadopoulos 2016). In the 11th edition, the jewellery room is seen to be supported with large number of emerging talents ranging from Maria Black, Orit Elhanati and Pernille Lauridse. Moreover, the potential of the jewellery pressroom is seen with the industry dedicated to the online space in which the brands are organised in one single roof. The Jewellery Room is depicted to be conducive with the various types of services which are associated with the changes brought to Danish fashion. Moreover, the Danish Jewellery is often boosted with the changes among the consumer behaviour which are seen with the increasing nature of daring designs and strong storytelling. The brands such as Ole Lynggard’s masterful designs, Georg Jensen’s has created a serval collaboration with the new artists which are depicted with the Nadia Shelbaya’s playful pearl and gold creations. In addition to this, some of the other designer jewellery stores such as Matchesfashion.com is also considered with assessment of the exact requirement of the clients (Grant 2016). The competitive strengths of Pandora A/S are depicted in terms of designs and quality of jewellery as agility of the value chain and an improved focus on the sustainability. The company has maintained its brand as a leader of affordable player in the jewellery segment and often referred as the largest producer of jewellery as per the pieces crafted. The main USP of the company is identified in terms of quality and craftmanship. It is further depicted to innovate with the designs which enhances the overall value chain. Moreover, the experience offered by Pandora sets it apart from the other competitors. The company further involved in several types of the risk awareness programs which are depicted to be aimed at increasing the awareness of the risk management and appointment of the persons in each region where the operations exists. As the company is involved with significant number of markets there is ample scope of growth opportunity and earnings (Hill et al. 2014). Georg Jensen has taken continued initiative to modernise the overall retail business and making improvement to the digital shopping capabilities. This is seen to be based on rationalising the network of physical shops. This has been further marked with an important step for competing in an omni-channel approach which will prove to be more powerful and competitively advantageous to the company. The business management done by the company has been considered with the segregation of the risk as per commercial risk, logistics risk, production facilities, IT breakdown, employees, brand and image. The company manages the various types of the financial risk in terms of the monitoring the foreign exchange fluctuations. The management of the company expects a significant growth potential in the operating profit segment (ATARERE et al. 2016). The strategic business strategies of Pandora A/S acts as the pillars for providing the right direction to the consumers. Some of the main aspects of the corporate strategy are discerned as per Innovate affordable jewellery, Agile manufacturing, Digitalised brand experience and success in the omni-channel retail. The business strategy adopted by Georg Jensen is considered with clear focus and foundation on the performance improvements which will ensure continuous improvement for the company. The business risk of the company is set in such a way that they are related to the brand reputation, followed with a proactive communications strategy and which is consistent with the communication efforts and public relations. The contribution of UN Global Compact signatory is also seen to play a pivotal role in the formulation of the business strategy of the company (Prause 2014). The assessment of the main accounts for Pandora A/S in the balance sheet are identified with current assets, current liabilities and stockholders’ equity. The current assets compose of the accounts such as inventories, Derivative financial instruments, Trade receivables, Income tax receivable, other receivable and cash. The total balance is depicted to increase from DKK 6356 m in 2016 to 6744 m in 2017. The accounts under the current liabilities are identified with Derivative financial instruments, Trade payables, Income tax payable, loans and borrowings. The total balance of the liabilities is identified to increase from DKK 8291 m in 2016 to DKK 10726 m in 2017. The accounts under equity is seen with Share capital, treasury shares, reserves, dividend proposed and retained earnings. The total equity of the company increased from DKK 6794 m in 2016 to DKK 6514 m in 2017 (Euwema et al. 2014). Similarly, the current assets for Georg Jensen is considered with items such as trade receivables, receivables from the group enterprises, other receivables, deferred tax assets and prepayments. The items under the current liabilities account needs to be seen with credit institutions, trade payables, payables to the group enterprises, corporation tax and other payables. The total balance of the current liabilities increased from DKK 3331m in 2016 to DKK 3847m in 2017. The total equity consists of the accounts such as share capital, share premium account, Reserve for development costs and retained earnings. The total equity of Georg Jensen decreased from DKK 4576 in 2016 to DKK 4154 m in 2017 (Renz 2016). The preparation of the annual report of Pandora A/S has been prepared as per International “Financial Reporting Standards (IFRS)” which has adopted the guidelines as prescribed by EU and additional Danish disclosure requirements. The consolidation of the financial statement is further seen to be based on the various types of the disclosures as stated under Group’s and the Parent Company’s operations. The preparation of the annual report of Georg Jensen is depicted to be in accordance with the “International Standards on Auditing (ISAs)” along with the additional requirements which are Applicable in Denmark. The company’s independent activities are seen to be considered as per the “Inter-national Ethics Standards Board for Accountants’ Code of Ethics for Professional Accountants (IESBA Code)” (Barr and McClellan 2018). The three potential red flag areas of the company are seen in terms of commodity, product development, Crafting and Supply Chain Major Market. The potential red flag associated to the commodity is considered with the increase in the cost of goods for the range of products offered by the company. In addition to this, the risk areas are also seen to be evident in terms of the changes in the raw material cost especially gold and silver. Secondly, the red flag area in the product development are considered as per the uncertainties pertaining to the new jewellery designs do not adhere to the customer expectations or gain the desired traction in the markets. Crafting and Supply Chain Major Market may get affected by large number of reasons which are seen to eb based on the factors impacting on the stability of the supply chain. However, these are not seen to be limited to the loss of suppliers, disasters pertaining to the physical IT infrastructure at the crafting facilities and the distribution centres. There is a potential risk of interruption in the sourcing, manufacturing and/or delivery activities (Balazs et al. 2016). The potential red flag areas for Georg Jensen are concerned with business aspects, financial and external risk concerns. The concerns related to the business risk are based on the commercial red flag areas which are evident among the consumption of the luxury goods. Some of the other concerns are also related to logistics risk and production facilities. The red flag areas of the financial concerns are seen to be based on increased exposure to the foreign exchange flections. These concerns are also depicted as per the changes variations in the commodity prices of gold, silver, steel, brass, precious stones. The third red flag area of external risk is considered with the different types of the issues such as the macroeconomic factors. At times it may not be possible for the company to predict the sales which allows for flexible planning and discern the appropriate impact of the cyclical economic trends (Karadag 2015). The ROE of Pandora A/S is in a better position in compared to Georg Jensen. This is evident with the increase of 1.65 in 2015, 3.01 in 2016 and 3.62 in 2017. On the other hand, Georg Jensen has considerably struggled to maintain a good net income in terms of total asset and total equity. The investigation of the ROE is performed in an extended manner with the use of du point analysis which emphasizes on the scope of improvements which are seen to be associated with the strength and weak point of company. It is also seen to be a requirement of Georg Jensen to concentrate on increasing the income generated in terms of the total value of equity. In addition to this, Pandora A/S should look forward to retain the optimum utilization of its assets which is responsible for a stable ROE. Some of the important ratios considered for the operating performance management of the company are identified as per the fixed asset turnover ratio, operating ratio, revenue per employee ratio and operating cycle. It need to be discerned that the fixed assets turnover ratio for Pandora A/S has shown a positive trend. However, the despite of the increasing performance of Georg Jensen in terms of the Fixed Asset Turnover Ratio from 2015 to 2016, the company has not shown a favourable performance in 2017. The sales per employee is also seen to be in a better position for Pandora A/S. Therefore, Pandora A/S has efficiently made use of the amiable human resources to generate more revenues for the business. In addition to this, in terms of the operating ratio Pandora A/S has been able to generate more revenues for the company by incurring a minimum amount of the operating expenses. It needs to be further identified that the different type of the concerns associated to the performance of the Georg Jensen are related to the increasing operating expenses. The operating cycle ratio of Pandora A/S is considered to be maintaining better Days Inventory Outstanding, Days Sales Outstanding and Days Payable Outstanding. 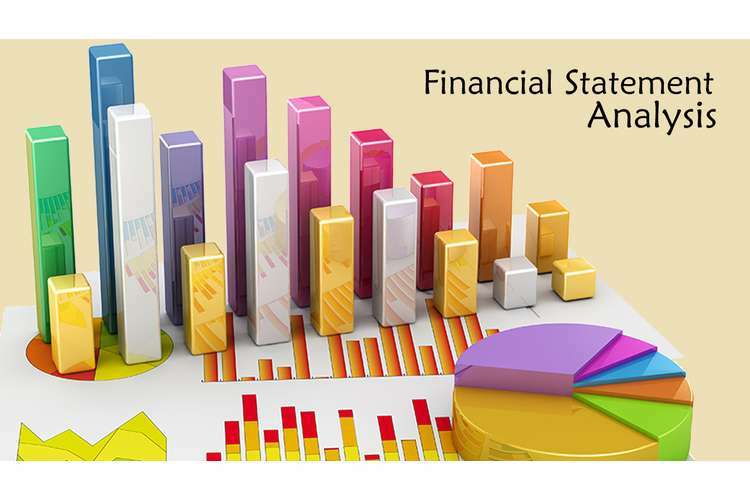 The main computation of some of the main ratio pertaining to the Investment Management are identified with the computation of the assets turnover ratio, inventory turnover ratio and days sales in inventory. In addition to this, there is a linear increase in the Inventory Turnover Ratio for Pandora A/S. This is depicted with total inventory turnover ratio of 8.35 2017, 7.43 in 2016 and 7.10 in 2015. However, Georg Jensen significantly poor in terms of inventory management. This is seen to eb evident with 0.27 in 2017, 0.30 in 2016 and 0.33 in 2015. The average collection period of Pandora A/S is seen to be comparatively much faster than Georg Jensen in collecting the payment from the debtors. The position of Georg Jensen is better in terms of maintaining a lower COGS in terms of the inventories. The time for the Receivables Turnover is clearly in a better position for Pandora A/S. This shows it requires less time for collection of payment. 1. The computation of the Financial Leverage is included with the ratios such as Debt Ratio, Debt to Equity Ratio, Equity Ratio and Equity Multiplier Ratio. 2. The D/E ratio performance of Pandora A/S is clearly seen to be in a beater position with a lower reliance on the long-term borrowings to finance the assets. 3. The equity ratio performance of Pandora A/S is also better than Georg Jensen. This shows a better utilization of the equity obtained from the shareholders by Pandora A/S. 4. It can be recognised that Debt-to-equity ratio for Pandora A/S. is better than Georg Jensen. The conduction of the time series analysis of Pandora A/S and Georg Jensen is discerned with the changes in the ROE from 2015 to 2017. It can be seen that fall in the ROE in the recent years may be a result of the macroeconomic changes which had significantly affected the jewellery designers of Copenhagen. The findings from the understanding the economy for the chosen Danish Jewellery company is predominantly identified with market factors which influence the developments in the company. These factors are considered to influence the competitors and market which involve the appropriate and supplier. Moreover, in terms of the Identification of the Competitor Company it needs to be seen that Pandora A/S has performed better in all aspects. The main form of the competitive strengths of Pandora A/S needs to be identified as per the designs and quality of jewellery as agility of the value chain and an improved focus on the sustainability. On the contrary, Georg Jensen has taken continued initiative to modernise the overall retail business and making improvement to the digital shopping capabilities however it has failed to retain the customers due to increase price of the fashion jewellery. Some of the main aspects of the corporate strategy are discerned as per Innovate affordable jewellery, Agile manufacturing, Digitalised brand experience which are seen as the main contributing factor for its success in the market. 1. ATARERE, O.I.L., OSEMWEGIE-ERO, O.J. and Onyinye, E.N.E.H., 2016. Accounting Education: A Strategy for National Security. 2. Balazs, A.G., Liu-Barker, X.C., Foiles, D.L., Thomas, M.P.I. and Lee, R.E., Intuit Inc, 2016. Methods, systems, and articles of manufacture for implementing adaptive levels of assurance in a financial management system. U.S. Patent 9,444,824. 3. Barr, M.J. and McClellan, G.S., 2018. Budgets and financial management in higher education. John Wiley & Sons. 4. Chandra, P., 2017. Investment analysis and portfolio management. McGraw-Hill Education. 5. Ehrnsperger, B., 2017. RISK MANAGMEMENT IN HOSPITALS. CER Comparative European Research 2017. 6. Euwema, M., García, A.B., Munduate, L., Elgoibar, P. and Pender, E., 2014. New European Industrial Relations. Practices to Improve Social Dialogue in European Organisations. 7. Fibre2fashion.com. 2018. US apparel industry grows 3%, reaches $218.7 bn in 2016. [online] Available at: http://www.fibre2fashion.com/news/apparel-news/us-apparel-industry-grows-3-reaches-218-7-bn-in-2016-204471-newsdetails.htm [Accessed 1 Jun. 2018]. 8. Fischer, A. and Pascucci 2017. Institutional incentives in circular economy transition: The case of material use in the Dutch textile industry. Journal of cleaner production, 155, pp.17-32. 9. Fleisher, C. S., & Bensoussan, B. E. 2015. Business and competitive analysis: effective application of new and classic methods. FT Press. 10. Giannakis, M. and Papadopoulos, T., 2016. Supply chain sustainability: A risk management approach. International Journal of Production Economics, 171, pp.455-470. 11. Grant, R.M., 2016. Contemporary strategy analysis: Text and cases edition. John Wiley & Sons. 12. Hill, C. W., Jones, G. R., & Schilling, M. A. 2014. Strategic management: theory: an integrated approach. Cengage Learning. 13. Jun, L.I.U., LIU, J.Y., ZHANG, N., YANG, Q.H. and Xia, B.I., 2017. Analysis and Evaluation of Economic Activities in Power Enterprise Based on Project Management. DEStech Transactions on Environment, Energy and Earth Sciences, (eesd). 14. Karadag, H., 2015. Financial management challenges in small and medium-sized enterprises: A strategic management approach. EMAJ: Emerging Markets Journal, 5(1), pp.26-40. 15. Prause, G., 2014. A green corridor balanced scorecard. Transport and Telecommunication Journal, 15(4), pp.299-307. 16. Renz, D.O., 2016. The Jossey-Bass handbook of nonprofit leadership and management. John Wiley & Sons.